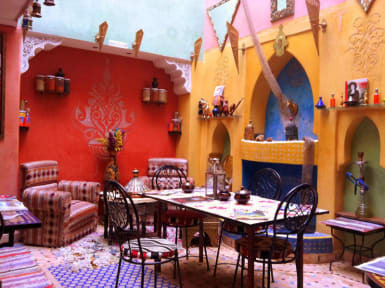 Riad Layla Rouge i Marrakech, Marokko: Reservér nu! I absolutely loved my stay! Mohammed and the others who work at the hostel are incredible. They are so friendly and make you feel so welcome. The rooms are nice as well with a good shower! But best of all is the rooftop terrace!! I can only recommend this hostel!